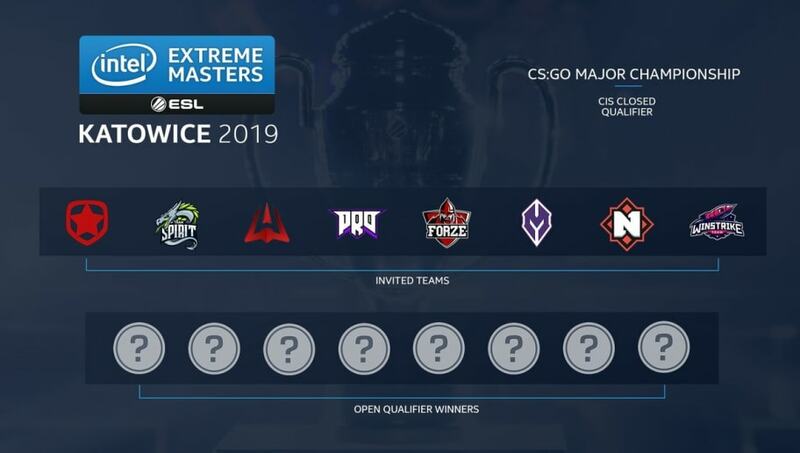 IEM announced the eight Counter-Strike: Global Offensive teams invited to the IEM Katowice Major CIS closed qualifiers on Friday. As we prepare for qualifiers to begin on October 22nd, here are the invited CIS teams to the #IEM Katowice 2019 CS:GO Major Championship qualifiers! ​​Gambit Esports, Team Spirit, forZe, AVANGAR, pro100, Nemiga Gaming, Monolith Gaming, and Winstrike Team are the eight ​CS:GO teams directly invited to the IEM Katowice closed qualifiers for the CIS region. They will join the winners of the open qualifiers to compete for the limited CIS spots at the Major. IEM also revealed the teams from ​North America, ​Asia, ​and Europe that were directly invited to attend the closed qualifiers. The closed qualifiers differ for each respective region. Registration for open qualifiers are live and will begin with the first qualifier on Wednesday. The qualifiers will run until Nov. 12 before the closed qualifiers begin on Nov. 17 and Nov. 18.